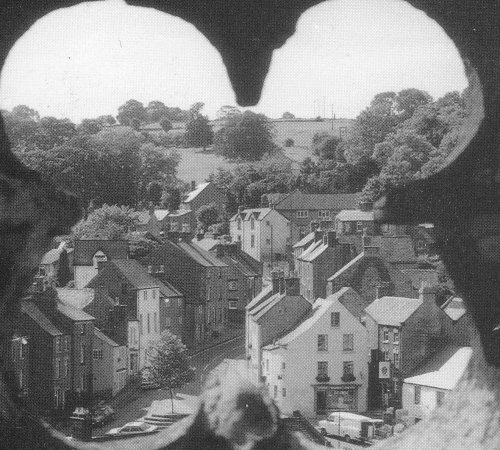 An unusual view taken from the tower of the Parish Church, looking up West End. In the foreground is the Market Place. See Street map of Wirksworth, and click on West End to see the buildings there.